Here at Whitesyke Garden Centre we have a gift department to cater for everyones taste, from kitchenware to cushions, ornaments to photograph frames, jigsaws to mugs, we have something for all your special occasions. Our ranges are updated throughout the year to keep in tune with the changing seasons. 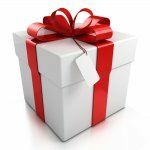 Gifts for birthdays, weddings, anniversaries, christenings and Christmas for all your family and friends, whether it is a book on toy for the children or a walking cane for Grandpa we have something for everyone. We also have an extensive selection of toys for boys and girls of all ages.